Afiniti: An AI way to make call centre interaction less hideous? “Are call centres the factories of the 21st Century?” asked Alex Hudson in the BBC Magazine in 2011 before going on to investigate the phenomenal rise in global call centre employees. It is hard to ignore the importance of the contact centre. We’ve all dealt with them. Many of us will have worked in one of them. While findings from this year show that their revenue exceeds $300 billion per year. This makes it a crying shame that they generate such horrifically negative feeling. “I don't think anyone sets out to work in a call centre because they’re interested in it,” said Ann-Marie Stagg - chairwoman of the Contact Centre Managers’ Association in the BBC piece. This is a fact which can lead to frustration amongst employees. While you only have to nip onto social media to see the loathing they can generate from customers. 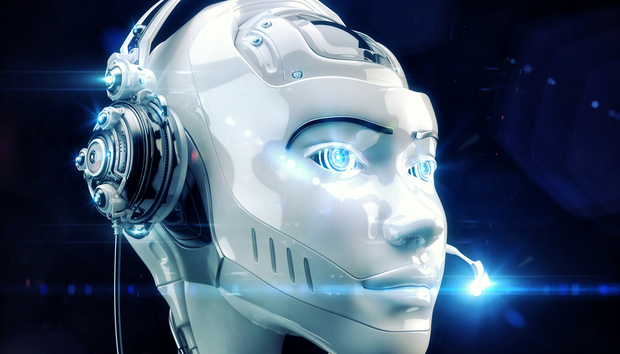 Now Afiniti – which changed its name from SATMAP on 1st January – believes it may have found a unique way to improve the relationship between call centre agents and customers using Artificial Intelligence. The solution entails pooling company and publically available data – this could include your magazine subscriptions, social media interactions and previous flight or hotel upgrades. Then matching it up against the call-styles of customer service agents based on their historic call outcome data. The information is then processed together, using AI, to present the best possible fit between agent and customer. Chris Farmer the EVP and CMO at Afiniti explains the initial data set is just the starting point. It takes 60 days for the algorithm to come up to speed to properly match people. And even then it is still tweaking itself every 24 hours. The system also switches itself off and on to continuously check AI-based interactions against random ones. The revenue model for clients is actually calculated based on the proven savings generated by the AI process. The idea is that through all this Afiniti can help businesses to boost revenue from contact centres whilst also improving call centre agents’ satisfaction. It is the brain child of founder, Zia Chishti – who pioneered clear orthodontic braces, Invisalign – and is rooted in the simple premise that people are more likely to buy from people they like. The downside to such a Big Data solution is it is only really appropriate for large call centres with over 250 agents. And so, not surprisingly, clients include large global Telcos and financial intuitions. The company also announced a strategic partnership with McKinsey in March 2015. What makes this interesting though, is that it is very different to the usual visions of AI in customer service. These tend to focus on Virtual Assistants – by the likes of Nuance and IPSoft – which want to replace real agents with digital ones wherever possible. In this scenario AI is used to help machines learn from human interactions and these solutions have become part of the “robots stealing our jobs” debate. It is not as cut and dried as many make out, of course. And individuals involved in this type of tech argue that employing Virtual Assistants simply frees up human employees for more sophisticated forms of customer interaction. He is also excited about the various avenues the company could develop into – such as smart advertising and web chat. However, he is keen to stress, the company still has a long way to go geographically and vertically in the space it already occupies. “We’re growing at 300% a year globally,” he adds with revenues, as of December 2015, standing at 60% from the US, 20% from the UK and 20% from elsewhere. This is likely to change over the next 12 months with more form the UK, Europe and Asia.